Are you considering letting your child join a school-based sporting activity next year? Non-competitive co-curricular sports clubs are usually open to all, although schools may impose membership limits. For school teams, entry requirements will differ by sport and school; in some instances, beginners with a suitable physique will be accepted, while in others, proficiency is a prerequisite. Some studies appear to suggest that a higher level of training intensity coupled with continuous training through the years—without neglecting other activities essential for growth, such as hobbies and volunteering—is the best way to reap benefits through sports. Intensive training is typically associated with competitive sports, and this article makes a case for competing, rather than merely participating in sports. 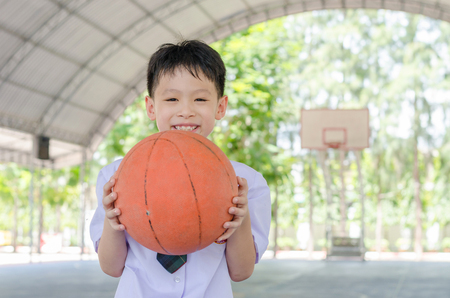 If your child should be invited to join a school sports team, here are some tips to bear in mind as you ease into the new routine. Be prepared: Your life may change. The financial and time commitments of being on a school team may be greater than expected. Hours-long practice sessions may overrun, additional (chargeable) training sessions may be arranged by coaches leading up to competitions, and your availability for family vacations and other recreational activities may be subject to competition dates and training times. It’s a significant adjustment for students and parents; if possible, do seek out experienced parents for their assessment of the situation, as well as coping tips. Ensure your child gets ample sleep. This is the simplest way to help your child do well in school, and you can read our tips in this article. Help your child get organised. Some school teams train up to three (or more) times a week, and your child could reach home in the late evening, with only two to three hours left for dinner, a shower, and homework. Decide, together with your child, how this time should be utilised, for example, 30 minutes for mealtimes and 15 minutes for a shower, with the remaining time spent on homework as well as getting ready for bed. If your child appears to be dawdling, use a timer to set the pace. If there are homework assignments that your child is unable to complete on account of training, approach teachers to extend deadlines. Check in with your child regularly to ensure academics are on track. Discuss expectations as a family, and be mindful that if you truly believe in the long-term benefits of sporting involvement, academic targets should be reasonable and realistic. Occasionally, schools and coaches may require parental support, for instance, for ferrying students to external practice venues. Or, if there are spare hours before after-school training begins, parents can take turns to run study groups for the students. Be positive: View it as an opportunity to meet likeminded parents and build friendships while supporting your child from the sidelines.